Can licensed beats be resold? Absolutely not! You have no right to transfer your ownership to a third party or to resell the beat(s). Exclusive Rights have been bought already. Is it possible that the beat gets leased for a second time or that it has been leased another time before? If sold “exclusive” the beat cannot be sold/leased again. Before that, the beat may have been leased to several persons as it was non-exclusive. In what way the producer is credited? 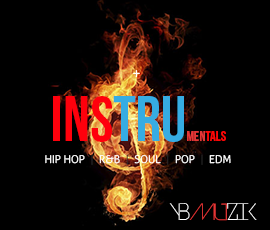 It is enough to give “like” to “Instrumental by YB MUZiK” or “Produced by YB MUZiK”. Can I modify the beats after I buy them or receive a refund if I don’t like the beats that I bought? If you take a look at the terms and conditions you will notice there is a NO REFUND policy on the items that are delivered digitally. All products featured on our site or marketplaces are available only for digital download. You don’t sell any physical products. Therefore, the digital sale is definitive and there isn’t a possibility to receive a refund for a download that cannot be taken back. We only make an exception for duplicate sales or in other rare situations. In this case we will offer you a product that has the same value. If you bought something from us you have already accepted to our terms and conditions. As a result, you cannot modify beats after you bought them if you already have an issued license. You can listen to the beats and download a tag version of them before you place an order. You can also hear the beats in the store. You must judge carefully what beats you purchase! What are the main distinctions between licensing options? A Standard license guarantees that you’ll have one master recording to make commercial profit and you can sell 2,000 copies of the recorded song in various ways such as CDs, paid downloads or you can have the song aired on 1 radio station and make up to $1000 profit from publishing royalties. With this license you can also synchronize 1 video with 100,000 video streams and earn up to $1000 profit or you can perform live shows for up to $2,000 profit. A Premium license guarantees that you’ll have one master recording to make commercial profit and you can sell 10,000 copies of the recorded song in various ways such as CDs, paid downloads or you can have the song aired on 6 radio stations and make up to $5000 profit from publishing royalties. With this license you can also synchronize 1 video with 200,000 video streams and earn up to $2,000 profit or you can perform live shows for up to $10,000 profit. An Unlimited license guarantees that you’ll have one master recording to make commercial profit and you can sell unlimited copies of the recorded song in various ways such as CDs, paid downloads or you can have the song aired on any number of radio stations and make up to $10,000 profit from publishing royalties. With this license you can also synchronize 1 video with unlimited video streams and earn unlimited profit or you can perform live shows for up to $50,000 profit. If you have Exclusive Beats Rights you will have numerous master recordings guaranteed for commercial profit and broadcasting. You will not be limited to re-sell the beat. With Exclusive Rights you will make sure that the beat will not be purchased or downloaded by someone else. For more information, go to the How to Purchase Beats page. Why is it necessary to license a beat if it can be also be licensed by other people? There are 2 main ideas why blanket leasing functions. The first one is the 2,000 copy limit that doesn’t let people distribute a beat with the song in that country or internationally and keeps it to the local market. ‘2,000’ is actually an estimation that reduces the probability that 2 songs will confront with the same beat. This way we can guarantee fair play to all our customers that lease a song non-exclusively. If someone needs more than 2,000 copies, we advise him to buy the exclusive rights. The second motive is that everyone has different skills, talent and exposure and they influence the decision of purchasing a blanket lease. We suggest that if you possess these 3 essential advantages, you shouldn’t worry about someone else that is purchasing a lease for the same beat. If you release a song that becomes successful, people will believe that others folks on the same beat are utilizing ‘your’ beat. What can I do with the ‘free downloads’? All the beats that appear on the website as downloads or free are ONLY free on demo-tracks for non-commercial/non-profit. You can’t use free beats for mixtapes, albums, video and they cannot be played on TV and radio. The idea is to provide people a pre-listing so that they can which song and beat is worth for leasing. You can upload your tracks on Sound-cloud, YouTube etc., by mentioning the producer, YB MUZiK. You mustn’t forget to give credit to YB MUZiK. When will I receive the license that I purchased? Can I get my money back or can I exchange the beat? Beats are digital goods and we cannot return your money. We maintain this policy due to infringement laws and fraudulent orders. However, we can make a few exceptions with beat exchanges; if you didn’t order the right beat you must send us an email right after you bought it and indicate which beat you wanted to purchase. You must be careful not to download the wrong beat because in many cases downloads are tracked and time stamped and we cannot guarantee that you can change it. I prefer a personalized beat, not a standard on your website. That is right: a Custom beat can be made on a specific request. Until you decide to release your recorded song, such Custom beat will never be published, sold to another artist, not even heard by anyone. Each Custom beat costs from $1,000. First you need to send us the details about your Custom beat as you prefer it to be and we will work on that. Within 5 to 7 days you will receive via e-mail a sample of 128kbps in mp3 format. This is also the time when payment has to be received, and you should give us the agreement on the beat, or if we should make changes on it. If you agree, we will e-mail you back a track of the beat in Wav file format together with the official contract of YB MUZiK Exclusive Rights to your Custom beat as a guarantee of 100%. If this procedure is all right with you, do not hesitate to Contact Us. Can I be certain of your company? There are more than 40 years (since September 22, 2000) since we are working online, doing business as a PayPal Verified company. We sell thousands of rap beats for companies and artists all over the world, and we have never had any complaint from anybody. We also have clients who send us regularly requests of beats, because they were very satisfied with our services and work. We have created a list of some of those pleased past clients and what they think about the professional way we offer our services they paid for. The list is available on our website on the Testimonies section. Why should the same beat be licensed by more than one person? Blanket licensing/leasing is working based on two primary issues: there is a limit of 2000 copies for a song with the beat so usually someone gets dishearten to distribute it on a worldwide or nationwide network but abbreviates distribution to a local one only. The controversy that may be produced by encountering two similar songs with the same beat is very rare due to this established limit of 2000 copies. This mechanism generates a balance between clients licensing a track non-exclusively. Exclusive rights are necessary if one decides that 2000 copies are absolutely not enough, and he wants to extend the number of distributions. There is another reason for blanket licensing: the important role in buying a blanket license, played by skill, exposure and talent. Buying a license for the same beat should not worry at a person who has at least one of the three key factors. After a song becomes a hit nobody can make another one having the same beat and gain audience as for an original, all will know it’s just a copy of yours. Are there any decreases of price in case of extended purchase? You can e-mail to ybmuzikofficial@gmail.com for Custom extended purchases there are offers of $500. There are even greater discounts for preferred clients occasionally; they get some coupons that can be used for it. Regularly there are discounted prices for beats on sales promotions. If you follow YB MUZiK on Facebook, or Twitter you will be announced about such promotions. After the payment how long do I have to wait for receiving my beat? You won’t have to wait at all. After payment by credit card o PayPal is completed with success we send you a link where you can download the master .wav format file for your beat and we will also send you the certificate of licensing. Within 48 hours of purchase you will receive track separation files. After Exclusive Rights have been sold can I still use beats? Of course you can. Previous leases are not affected by the selling of exclusive rights. If you respect the leasing terms, you are allowed to use it. What exactly do I have to do to buy Exclusive Rights (Full Ownership instrumental)? 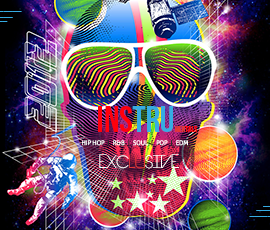 You only have to send an e-mail to us where you let us know about your interest on exclusive rights of a specific beat and you will receive the price established for it. What is the meaning of stems or track outs? Separate audio files which make up a particular instrument such as: piano, kick, synth, snare etc. They all contain instrumental sounds. Such audio files are called “track outs”, stem cells audio files or aka “stems”. Instrumental sounds sometimes may be arranged around your vocals if the engineer decides it necessary. This is usually the technique used for high-end mixing projects. For a top-notch mix we recommend the Unlimited or Premium License. From the royalties I accumulate do I have to pay a percentage to the producer? Licenses are 100% free. You don’t have to pay the producer for this. How long do I have to wait until I receive my product? You don’t have to wait at all. Non-exclusive purchase will be sent to you immediately after the payment has been completed. Within 48 hours you will receive Unlimited and Premium license purchase. All payments are made with by us PayPal with your credit/debit cards (Visa, Discover, American Express, and MasterCard). There is no need for you to have a PayPal account. What happens if terms you establish are broken? Legal action will be taken BY US if someone uses a beat for making profit on commercial mediums without having a license. There is criminal punishment for abusing the rules of our sites, and for copyright infringement. Michigan/US is our legal address.